After the busy streets of Cartagena, we decided we needed some time on a beach. We had heard of Tayrona National Park through other travellers and friends, and it came highly recommended. Colombia is a little more difficult to travel than other more tourist-orientated countries in South America, and after doing some investigation, it turned out a door-to-door minibus transfer would be better than the arduous task of getting a local bus. So we set off on the 5 hour trip to Taganga, a small little fishing village that had become a popular spot for locals and backpackers. 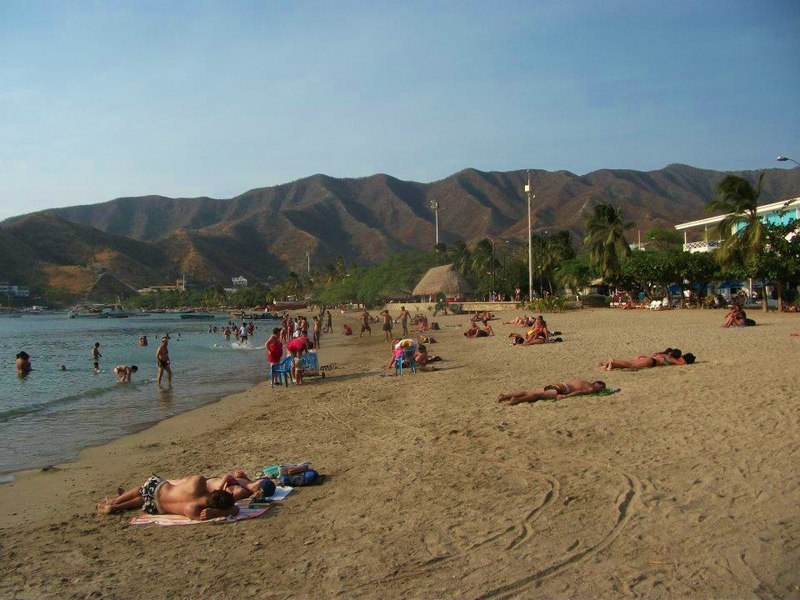 In some respects this popularity and the resulting tourist development had negatively affected the town, and the beach front was practically just restaurants and street sellers. I didn’t see many fishermen!